Water treatment and solutions for use in Glass Washing. Window cleaners and glass panel manufacturers have similar challenges of producing a spot free result on glass and will produce water without the salts and ions, that cause spots and streaking. Many commercial window cleaners were affected by changes in regulations relating to working at height, following incidents of injury from ladder falls. The solution was to use ‘reach and wash’ style window cleaning systems where pure water is pumped up a long pole to a brush at the top. 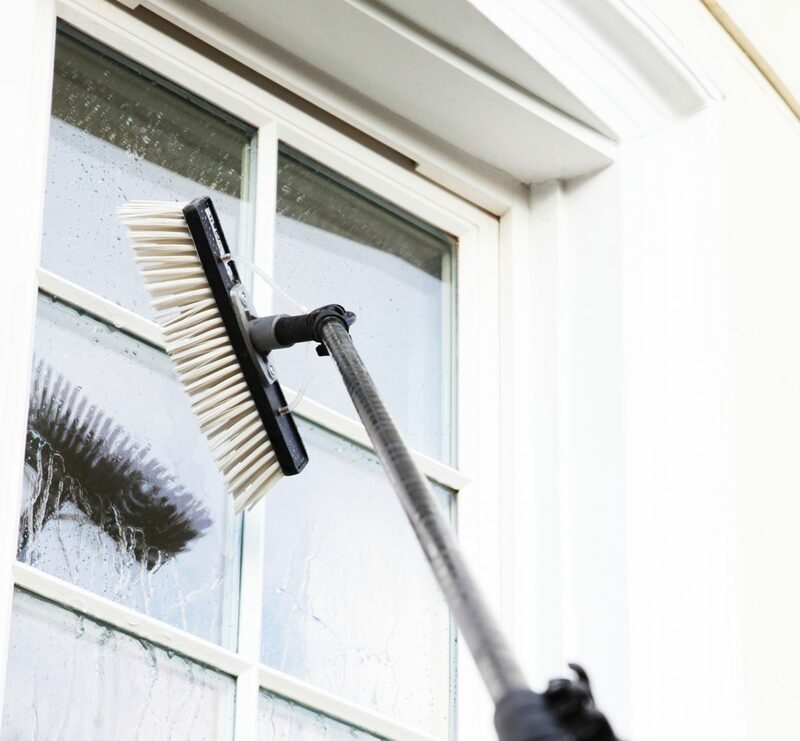 The combination of soft bristles on the brush and pure water is then used to clean the windows. The purer the water, the faster and more aesthetic the result. This is because purified water will attract dirt to ‘balance’ it. Even more modern window washing systems include heaters to make the water warmer which helps these processes of cleaning and attraction further, with added benefit of warming the window cleaner’s hands. The production of the purified water often involves the use of a reverse osmosis (RO) system to remove the vast majority (95%+) of the salts and ions. This is typically followed by a de-ionising stage to polish the remaining salts and ions to make de-ionised water. Fileder’s stock holding capability has meant this market has been serviced with high quality and durable products for the many years before and after the regulation changes.